Natural Products Expo East is an annual trade show that showcases responsible companies that focus primarily on eco-consciousness, health, and wellness. This year’s show did not disappoint. The Baltimore Convention Center was packed with over 1,500 brands toting important and sustainable missions. While attending this event, we found 5 natural product trends emerging in today’s CPG climate. With the marijuana industry achieving varying degrees of legality across the country, it should come as no surprise that the stigma associated with hemp is quickly fading away. 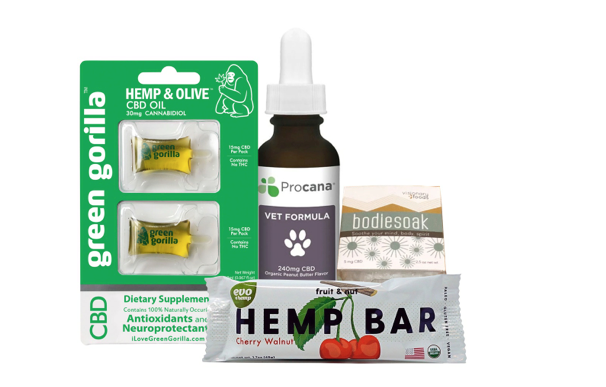 This year at Expo East, CBD and hemp products were on full display. The products ranged from oils and topical creams to snacks and beverages, many of them promising to trigger relaxation and stress relief. While some of the products found at Expo East were purposefully scientific-looking (especially the oils), others chose to design their packages to look soft and inviting. Brands like Evo Hemp and Green Gorilla, for example, created simple and clean designs that were very approachable to someone new to the CBD landscape. Mushrooms are viewed as one of the world’s original “super foods”, and this year’s range of products reflected that. With today’s focus on antioxidants, immune system boosters, and alternative means of protein, mushrooms are finding their way into all kinds of previously unexplored categories. 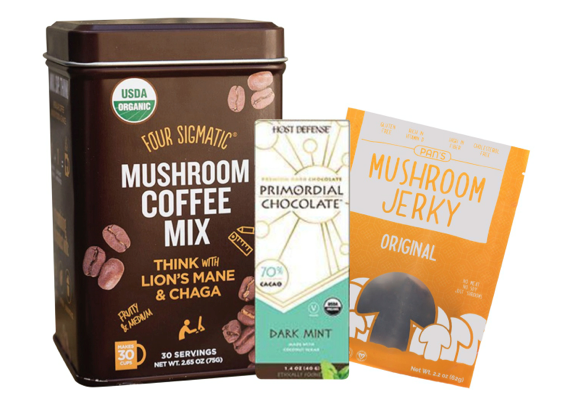 For example, Four Sigmatic displayed a number of mushroom beverages, including coffees, teas and elixirs. Another brand, Pan’s Mushroom Jerky, took exotic mushrooms and dried them to create a unique and tasty jerky. Companies are steering away from the sugary drinks of the past. 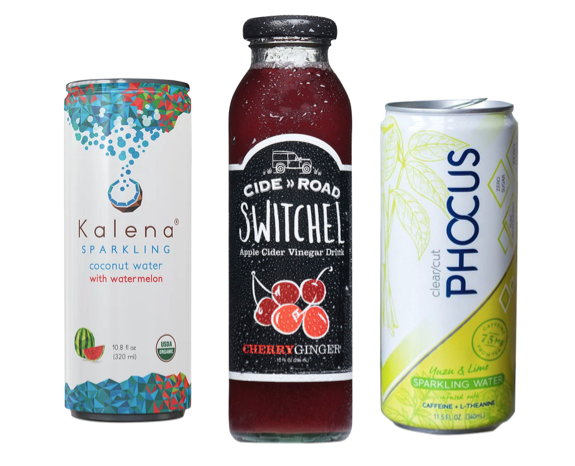 Brands looking to change the way we hydrate have invented lines of bottled water including vitamins, caffeine, or alternative means of sweeteners. These crisp and refreshing new beverages were embraced by the thousands of attendees as they walked around the large event space. Frozen foods are often used to create quick and easy meals for people on the go. In the past, this has meant discounting some of the product’s nutritional values, flavors, or the ingredients used. In 2018, companies have taken on the challenge of the freezer and created natural, tasty and nutritious frozen meals that don’t sacrifice any of the convenience. 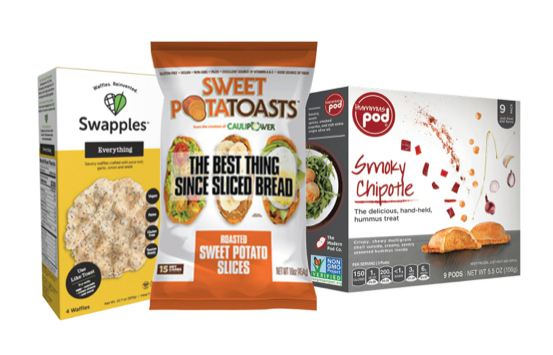 Brands have taken a responsible approach to what goes into our frozen foods by ditching the processed grains and instead replacing them with vegetables such as cauliflower or sweet potato. This initiative to take back the freezer should have college students and kids excited for what new products are on the way. Countless people plan their meals around dietary restrictions, whether because of veganism, allergies, or lifestyle choices, there are many reasons to make the move to plant-based products. Brands at Expo East have taken notice, and have cultivated new plant-based alternatives to some classic meat dishes. For example, Good Catch uses a combination of 6 legumes to create a protein rich, heart healthy, nutrition packed “seafood” line. The line includes fish-free tuna, crab-free New England-style crab cakes, and much more.